Set in the majestic Vail Valley in the heart of the beautiful Rockies, The Westin Riverfront Mountain Villas is the perfect place to rejuvenate your mind, body, and spirit. Surrounded by the beauty and natural wonders of Vail Valley, a Westin Riverfront Mountain Villa timeshare offers you everything you need to have the vacation getaway of a lifetime year after year. Awake each winter day to fresh powder and finely tuned skis provided by the ski valet before hopping on board the Riverfront Express Gondola to the renowned Beaver Creek Mountain to partake in a day of delightful possibilities. Afterwards, enjoy some après ski drinks at any number of the Vail Valley pubs and nightspots or slip into a world of relaxation at Spa Anjali. Later in the evening, linger and mingle by the fire in the resort’s impressive Grand Lobby to cap off your day. Your Westin Riverfront Mountain Villas timeshare resale welcomes you with open arms after a challenging day full of adventure. Whether it’s a stylish studio or a sprawling 1,330 square foot two bedroom villa, your renewing retreat at The Westin Riverfront Mountain Villas will be the perfect place to reflect on your day or gear up for the fun day ahead. Inside each spacious villa, you will find private patios, gas fireplaces, down-lined king-sized beds, jetted tubs, expansive showers, a fully-equipped kitchen, a washer and dryer, and much more, creating the perfect environment to spend time with your family and guests. 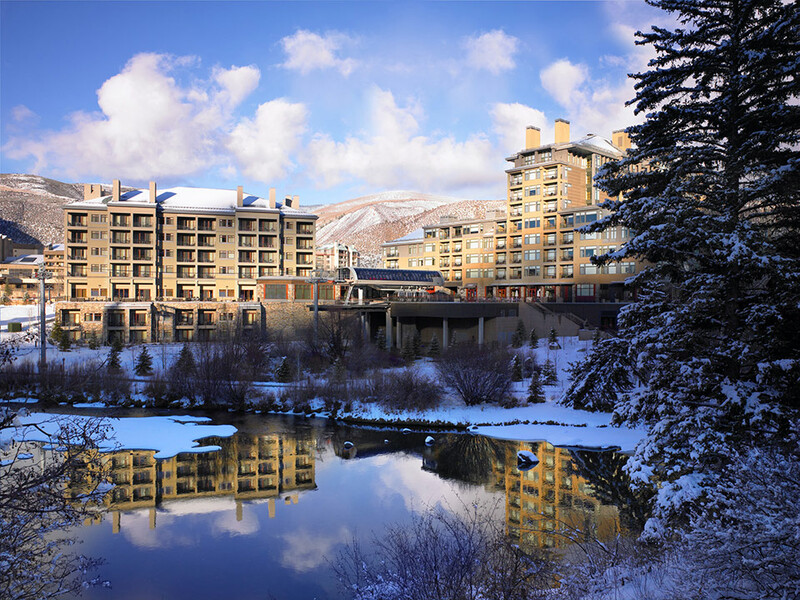 Just outside your Westin Riverfront Mountain Villas fractional ownership, you will find your high-speed gondola awaiting to transport you effortlessly atop the famous Beaver Creek Mountain. Once there, you can hop on a chairlift and find yourself snowboarding or skiing in fresh powder in a matter of minutes. During the summertime, you can enjoy miles of riverside and mountain trails by foot or on bike as you breeze along the scenic paths that wind all around the mountain. A variety of spas and retreats can be found in and around the scenic streets of Vail Valley, but none will compare to Spa Anjali inside of The Westin Riverfront Mountain Villas. Meaning “divine offering” in Sanskrit, Spa Anjali is a remarkable 23,000 square foot space devoted to pampering and relaxation. In addition to an endless array of soothing and healing treatments, the spa also offers full-day excursions. These healing journeys are inspired by ancient traditions, which will allow you to take in the rushing rivers, magnificent mountains, and fresh alpine air. The Westin Riverfront Mountain timeshares for sale are not only surrounded by the best that nature has to offer, but they are also surrounded by an array of dining opportunities. You can awake each morning and stroll to The Lift Café for eggs Benedict, Belgian waffles, and many other breakfast favorites. Inside the resort lobby, you’ll encounter The Market, where you can indulge in a number of convenient gourmet specialty foods to re-fuel your body throughout the day. At night, the high-end Latin dishes at Cima will ignite your taste buds as you enjoy fresh local ingredients prepared by an internationally acclaimed chef. Situated in the heart of the popular Vail Valley, Westin Riverfront Mountain Villas resales are steps away from all of the nightlife that Vail has to offer. Whether you want to enjoy a drink at an après ski lounge when you get off the slopes or stay up all night at any number of the town’s wonderful lounges, bars, clubs, or restaurants, the night is always young in Vail. If you are interested in having an unbelievable time each year in this unforgettable mountain retreat, now is the perfect time to buy a Westin Riverside Mountain Villas timeshare. Currently, Premier Timeshare Resale has an array of Westin Riverfront Mountain Villas timeshare deals to choose from, providing you with the best that Vail has to offer at an affordable price. If you would like to sell a Westin Riverside Mountain Villas timeshare, the experienced professionals at Premier Timeshare Resale can help you sell your property quickly and effortlessly as well, allowing someone else to experience the relaxation of their own mountain retreat.